or repairing parts of equipment, to avoid personal injury. performing procedures, or disassembly of equipment to avoid personal injury. on safety valve until all air escapes. See figure 3-4.
b. Then turn air receiver drain counter clockwise until it stops. See figure 3-5.
c. Water will then drain out of air receiver drain. d. When water is no longer running out, turn air receiver drain clockwise until it is tight. a. Turns the air supply to inflator gage and inflator gage hose on and off. b. To turn globe valve ON, turn valve handle counter clockwise. 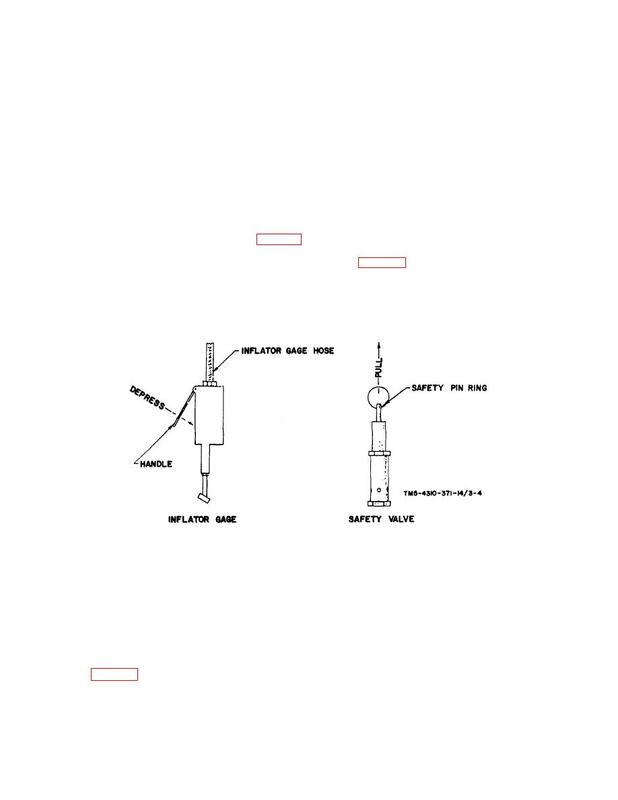 c. To turn globe valve OFF, turn valve handle clockwise.